I like to think my desire to discuss fun and controversial topics is a positive attribute, but sometimes it lets me down. Namely, when chatting up women. 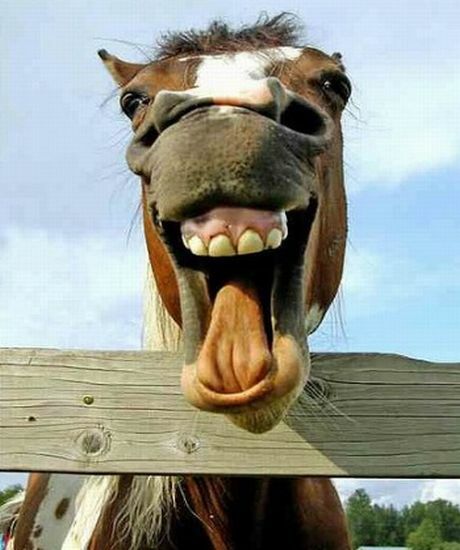 My love of fun banter unfortunately overrides the need to be a bit cautious when chatting to someone new. I leap in with potentially controversial topics before getting to know whether they are the type of person who can handle it or would enjoy it. My defence in all this is that if she can’t handle such topics, which aren’t particularly outrageous, then she probably isn’t the type of woman for me. However, perhaps I could wait for date 2 or 3 before mentioning some topics and perhaps avoid some stuff all together. 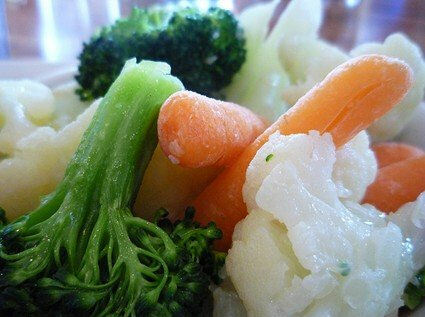 I then spent 5mins explaining the virtues of steamed microwaveable veg. Why this topic came up, I cannot remember? 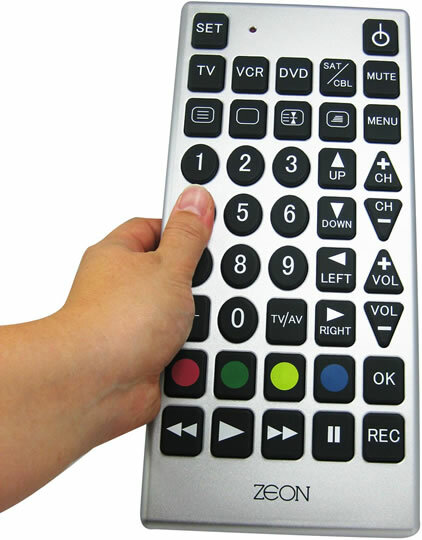 I was on a third date and for some reason I thought it would be a good idea to confess that sometimes when engrossed in a film at home I discover I have put the DVD remote control in my mouth and am actually seeing how far I can get it in. I could usually get my mouth to the Play button but not any further without causing discomfort. I guess I was hoping she would find it funny and that she would offer some embarrassing confession too. Nope. She was silent and just looked at me in a very odd way. There was a fourth date, however. 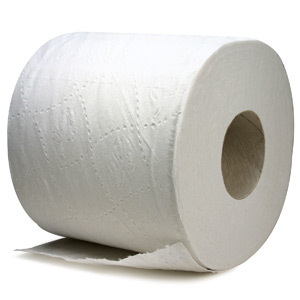 As you may know, I love talking about this and enjoy the different arguments people have for their preferred method. Anyway, I mentioned this on a first date only yesterday and she had not heard of this discussion. She was quite a liberally-minded person, but was clearly stunned and said it was not something she had ever thought about before. In her words she was “flummoxed” by the whole conversation. Click here to read the full story on this. I thought I was being funny. After seeing that episode on Friends where Joey gets ordained on the internet, I went online to see if it was really possible. 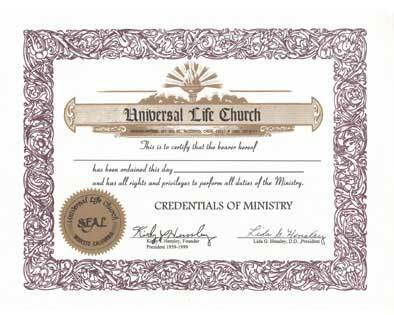 Turns out, it is really quick and easy (check out the Universal Life Church) and within 5mins I was ordained and printed out my certificate. Some people think this is weird, however. I protest this and it has actually led to my really good friend asking me to marry her and her fiancé. I feel very honoured to do this. Read here for a new low in dumb things to say on a date. 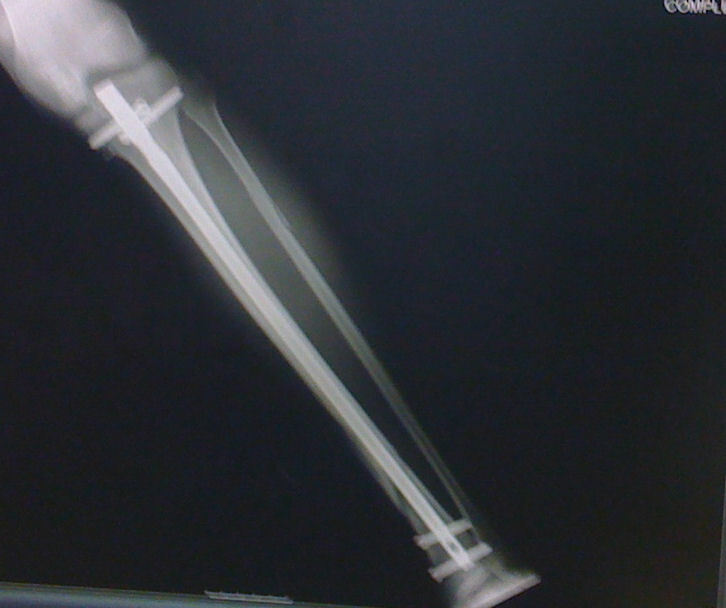 12 months ago on January 2nd 2010 I had a silly but little drunken fall at Clapham Junction Station (London) and somewhat inextricably broke my tibia and fibula resulting in an operation to have an IM Nail inserted. However, I prefer to tell people the “official” story that I broke my leg jumping on to the train tracks to save a pregnant woman, a blind man and an endangered panda. I was told it would take 6mths to recover and as I couldn’t find much about people’s healing experiences with IM Nails on the interweb highway I thought I would share mine just in case others found it useful or possibly reassuring. My last update was at the 6mths stage and so now is time to bring it up to date. 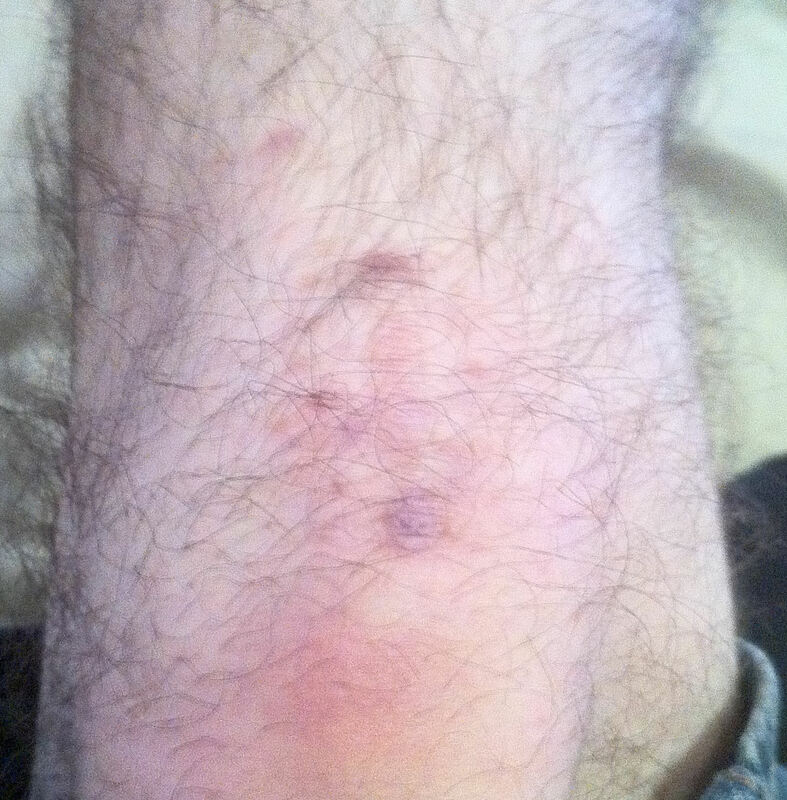 Up until a couple of months ago I was still concerned that I was getting a fair bit of soreness from the area just below my knee. If I sat in the same position or cross-legged it would be quite sore when I stood up and walked. Kneeling was also not something I was comfortable doing. This has changed quite a lot since then and the soreness is still around but is quite mild now and kneeling is much more comfortable than it was. Walking down stairs I barely notice anything different with my ‘bad leg’, but do from time to time. Lots of friends have asked me if cold weather effects me and say surely there must be expansion and contraction issues? Well, it’s been a bloody cold winter here in the UK and I didn’t notice any particular problems when I was out in the cold. 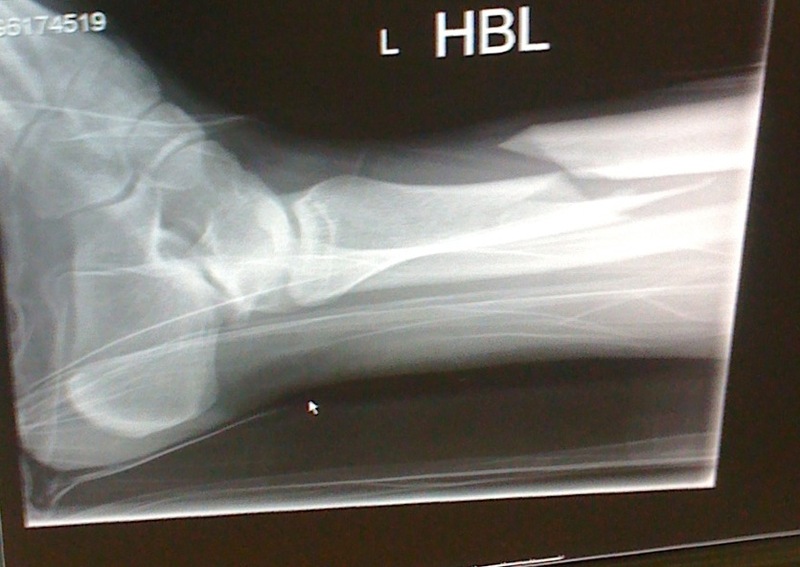 I have experienced one issue though … and that is with my good leg (the right one). I was trying to get back into jogging and was going regularly to the gym and running only on the treadmill (i.e. no hard surfaces). I was careful to build up the amount of running I was doing very gradually and had not quite reached being able to do 40mins of jogging (3 runs a week). Two days after a gym visit I walked off to a meeting and my right leg suddenly had a shin splint pain that was quite painful. I thought my 2hr meeting would be ample time for it to rest but as I walked home it got really really painful. Like someone had stuck a knife in the centre of my shin and left it there. I have had shin splint problems before (prior to my accident) and normally rest will cure it and the worst case before it had been 2 weeks. 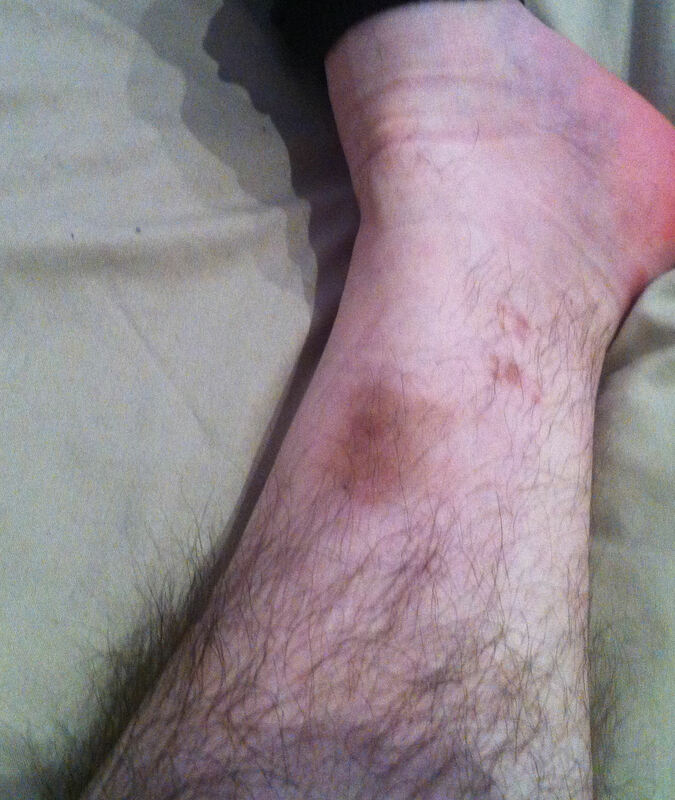 However, this shin splint pain went on for about 5-6 weeks and I think has only just gone away. I was not able to walk for more than 5 mins without it getting really very painful. My GP confirmed it sounded like a classic case of shin splints plain and said I should rest and take ibuprofen (for its anti-inflammatory effects). This did seem to help but I am not sure yet if it has fully disappeared and will be visiting the gym later this week to find out. Well, if I can get over 4 solid days of celebrating New Year that is. Ironically, it gave the situation that my bad leg (the left one with the IM Nail) was actually my better working leg and I think somehow this has been good. It was a little bit like my right leg had said “enough with all attention and care on the left leg, what about me? Why do I always have to be the good one?”. My left leg was up to the task and has actually been like a normal leg! 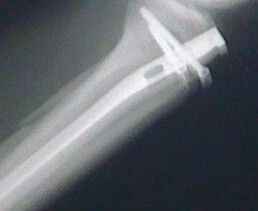 If you’ve recently had an IM Nail or Rod, I wish you the best of luck with the recovery. Set short-term goals for your recovery rather than looking at the longer path and you will get there. It will be painful in the beginning and dominate your life, then it will be more frustrating and really testing your patience, as in “can it just get back to normal already? !” But it will get better.